Following an epidemic of zombies two Philadelphia SWAT team members, a traffic reporter and his girlfriend seek refuge in a secluded shopping mall. 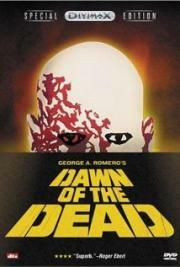 And then one realizes how many creators of modern zombie movies are, in fact, worthy continuators of Romero's lifework. Too long and has too many dull passages, otherwise goodish and certainly entertaining at what it does. Politically it's braindead, and loudly so. Best of the genre as generally likeable characters make decisions that aren't the dumbest possible options. Really interesting movie. Early on I feared that bad acting and stupid characters would grate, but the film got better, or the story got better and goofier to the point I didn't notice the problems as much. I can see where the genre gets many of its good ideas. Certainly one of the better horror films of the post-gore era, allowing its ideas to sit side by side with the more plebeian pleasures of chases and fights and a general creepiness. Interestingly, while the zombies are declared non-human a number of times early on, it becomes clear that they are stand-ins for a humanity driven by appetites--particularly those of a consumerist variety. When Romero eventually reveals his heroes in the same light, the critique takes on an even stronger tone. Dawn is as good as Zombie movies get. With a razor sharp script from director George A. Romero, Slick production design, a carefully planned story and genius moments of music and comedy. This is a different kind of story and overshadows even the greatest modern Zombie genre entries have to offer.